Please note: only the cheek ends are included here. These can still be screwed into the rails all by themselves. 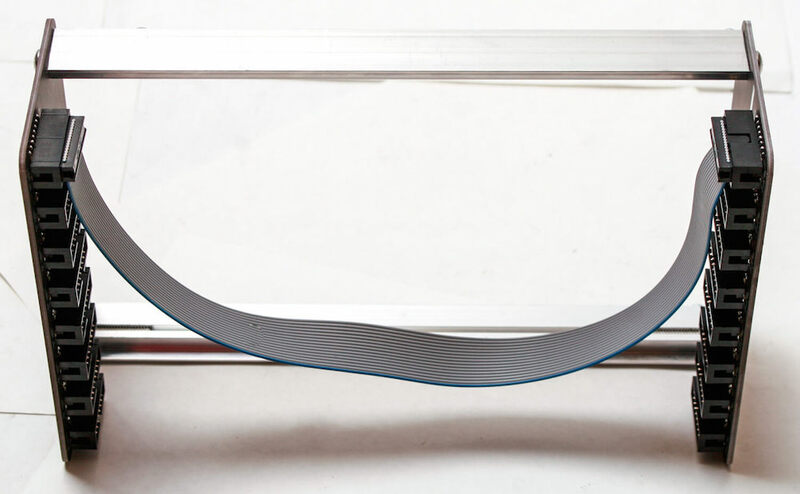 Bus Cheeks are just what they sound like: cheek ends with bus boards built in on either side. 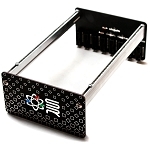 There are enough 16-pin connectors to power thirteen modules, and there are LED indicators for each power rail. Just plug in a power module and you're all set! 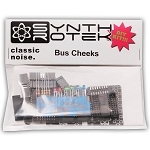 Bus Cheeks will work with Synthrotek or Vector brand rails. If you purchase rails from us, you will also get slide nuts and a long 16-pin ribbon cable that runs from one cheek to the other (so that both cheeks light up and distribute power). 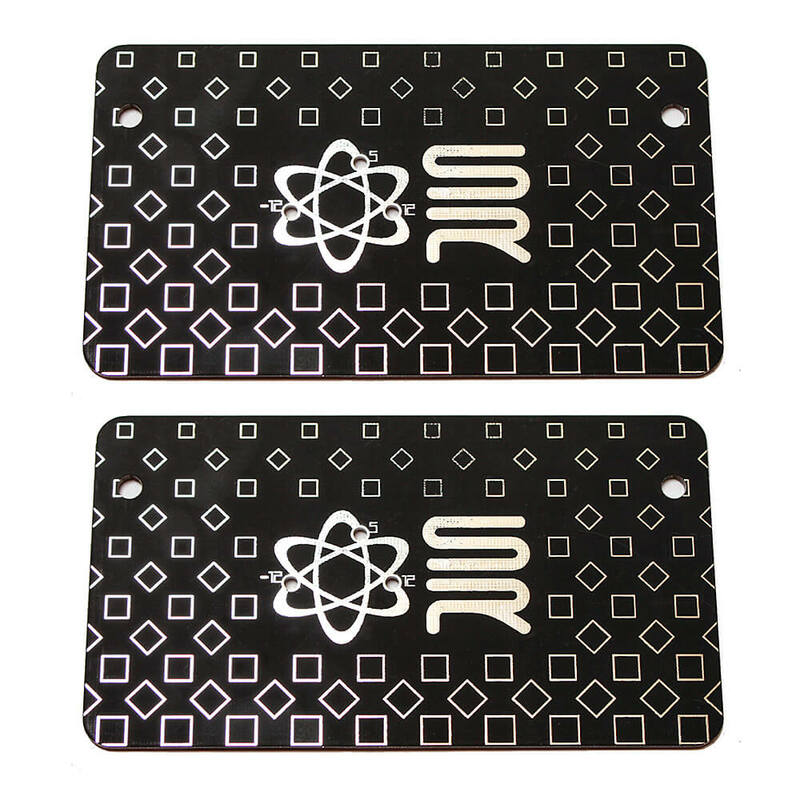 This circuit does require some tight soldering and a steady hand. 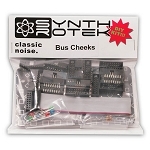 Please note: Bus Cheeks do not have an internal power supply; you will need to connect a power supply to them if you want to distribute power to your modules. *There are 8 connectors on each cheek, but if you plug in a power supply module and run a bus cable between the cheeks, you end up with 13 usable connectors. If you need more connections, you can run one of our Deluxe Flying Bus Cables between the cheeks. **Modules adjacent to the cheek ends have 15mm of clearance before hitting the red LED and 38mm of clearance before hitting a 16-pin connector. It's a great place for a 2HP passive module or anything shallow.